The specifics of the repayment will depend on the HELOC lender. It may require interest only or it may require amortized payments of principal and interest.The line of credit amount is available to the borrower and no interest is due until some or all the money is used. 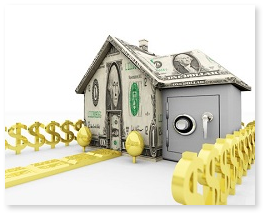 When the money is paid back, the line of credit is again available in full to the borrower.